We were informed today that finally, the CCAA (China Center for Adoption Affairs) has issued our Travel Approval (TA). Hoooooooooooray! What this means is that we have been given permission by the Chinese government to come to China and get our girl. Unfortunately, our agency was unable to confirm any appointments for us, and the CCAA is on holiday the rest of this week. Hopefully, we should know more early next week. Two appointments need to be confirmed before we can make our travel arrangments. The first appointment is at the Civil Affairs office in Hangzhou, the capital of Zhejiang province. This is where we will meet Maddie and take her into our care. At this point, she is our daughter in the eyes of the Chinese government. The second is our CA (consulate appointment) in Guangzhou where the US Embassy is located. This is where we will receive permission from the US for Maddie to enter the country as a US citizen. Please keep your fingers crossed that Zhejiang province is not delaying appointments due to the swine flu. If all goes well, we could be on our way in three to four weeks! Anyone who has adopted a child knows how excrutiatingly painful and frustrating the waiting can be. With Isabel, we were lucky to be able to visit so many times during the process (seven times to be exact), so we saw her, held her and knew from personal experience that she was thriving. It also helped that we knew the foster family with whom she stayed. 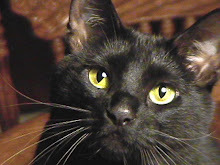 Though it was devastating to leave her each time we had to return to the States, we knew she was loved and extremely well cared for, and that certainly provided some comfort while we waited to bring her home. With Madeleine, of course, it's a completely different story. We have no idea what the orphanage is like. We are clueless as to whether or not she is close to her nannies and the other children. The medical reports we have gotten are outdated and sketchy, and any other information about her is basically nonexistent. Thank goodness there are organizations out there who will send care packages to children like we did this winter, and thank goodness there are folks, who for a minimal fee, will contact the orphanages and try to glean some updated information while parents wait. We just got an email this morning from one such person, and just the little bit of information we received was truly a blessing and a relief. So without further ado, here's an update on our Maddie. Because her deficient lower leg is unable to support her weight, Maddie is not walking. That does not mean she is not quite mobile, however. The director of the orphanage says she gets around quite readily by walking on her knees. It doesn't sound very comfortable, but with small children, where there is a will, there is a way. What it tells us is that we want to pursue medical interventions just as soon as we can, so that we can improve her mobility and get her off those knees. Maddie is very close to two of her nannies, and there are four children with whom she is good friends. Her favorite foods are noodles, fish, eggs, milk, and fruit, and she especially likes to play with stuffed animals and ride a rocking horse. She is a good sleeper, and her personality is described as "lively, energetic, and at times, self-willed." Pretty typical for a toddler. The most heart warming thing we learned is that the nannies are showing our pictures to her regularly (we included a photo album in the care package we sent this winter), and the director says she loves to look at our pictures, and each time she views them, she kisses Mommy, Daddy, and Sister. Well, that little gem brought tears to my eyes. It truly made my day when I got the email that contained these updates. As for Isabel, she continues to amaze us on a daily basis. Her language is still developing at break neck speed. She is even beginning to understand some of the subtleties of polite conversation. For example, she says "thank you" without being prompted (most of the time), and now she has begun to say "welcome" when we tell her thank you. If we ask her what her name is, she says, "Ibby," and when we ask her how old she is, she will say very clearly "two." It's a little premature, but we figured it would take longer to teach it to her. During the day, we like to talk about our friends and family. When asked where Daddy is, she will say "work." She also likes to talk about Grandma Sandy, Grandma and Grandpa, Aunt Pat, Uncle Bob, and Jake. Erin isn't too clear yet, and I'm not sure she understands the difference between Erin and Erik yet. She is not showing any signs of readiness for potty training, but we have begun to discuss it. She loves her Once Upon a Potty book, and she is quite intrigued by the Elmo Potty DVD. When we are counting, she will supply the two, six, and nine. She's starting to add in three, seven, and ten. She is also quite intrigued with the alphabet. She has an alphabet puzzle she loves to play with, and she greatly enjoys watching the Signing Time ABC DVD. She especially likes the letters B, D, H, K, and Z. Typical mom, I could go on and on about my kids, but I'll leave it at that for now. Thanks for indulging me! Without Travel Approval (TA) and with no clear idea when it might arrive, I am left to dream about traveling to China. Today, I did a little research on the capital city of Zhejiang province. Madeleine lives in Taizhou City in Zhejiang province, but when we are finally united, we will meet her and her caretakers in Hangzhou which is, I am told, about a four hour drive from Taizhou and where the Civil Affairs office is located. Hangzhou, population 6.4 million, is located in the Yangtze River Delta in the People's Republic of China, approximately 112 miles southwest of Shanghai. 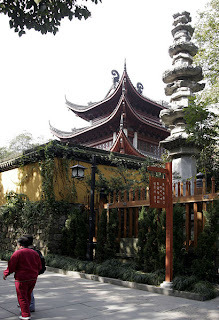 A popular tourist destination, Hangzhou is renowned for its historic relics and natural beauty. In fact, it has been ranked as one of the ten most scenic cities in China. One of Hangzhou's most popular sights is West Lake. 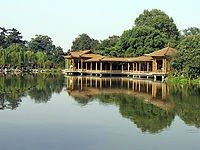 The lake covers an area of 6 square kilometers and includes some of Hangzhou's most famous historic and scenic places. The area includes historical pagodas, cultural sites, as well as the natural beauty of the lake and hills. Tea is an important part of Hangzhou's economy and culture. Hangzhou is best known for originating Longjing, a famous variety of green tea. Hangzhou is also known for its artistic creations, such as silk, umbrellas, and Chinese hand-held folding fans. According to Wikipedia, there are a couple of famous Chinese sayings about Hangzhou. The first is, "Be born in Suzhou, live in Hangzhou, eat in Guangzhou, die in Liuzhou." (生在苏州, 活在杭州, 吃在广州, 死在柳州) The meaning here lies in the fact that Suzhou was renowned for its beautiful and highly civilized and educated citizens, Hangzhou for its scenery, Guangzhou for its food, and Liuzhou for its nanmu wood coffins which supposedly halted the decay of the body. The other is, "Above is Heaven, Below are Suzhou and Hangzhou." (上有天堂，下有苏杭) This phrase has a similar meaning to the English phrases "heaven on Earth" or "God's country." I feel very fortunate that we will be able to visit this stunning city. I am ready to leave anytime. Do you hear that, CCAA? ANYTIME! This post is long overdue, but I've been obsessing over travel approval (or shall I say the lack thereof) and supervising the installation of the egress window in Maddie's room. Richard was scheduled to be out of town the entire last week of April while he attended his big annual tradeshow, and Isabel and I decided we didn't want to hang out by ourselves all that time, so at the last minute, we decided to go to Texas to visit our dear friends. Isabel hadn't seen Will since November, and we hadn't yet met Thomas, so it was a good time for a visit. This was the first time Isabel and I had traveled via air without Richard. To save money, I booked only one seat. I was a tad anxious about how my active toddler would do on a three hour flight. Silly me. She was fabulous. It didn't hurt that she slept part of the way either. Lousy weather and the swine flu pandemic forced us to stick close to home, but we didn't mind. We weren't there to see any San Antonio attractions anyhow, so hanging out at Lynn and Tom's house was just fine with us. I believe Isabel and Will actually remembered each other. Of course, it took three days before they warmed up enough to chase each other around the house. Will and Thomas were perfect gentlemen, letting Isabel play with all their toys even when she wouldn't let them touch Bitty Baby. After a couple of days, Will had even learned just to hand the doll over to Ibby whenever he happened upon her. It was such a pleasure to meet Thomas. He's so smart! We loved listening to him count and say the alphabet and rattle off the names of Lynn's extended family one night at dinner. Probably the most fun for Isabel was the outdoor playset and the sprinkler. She went down the slide time after time after time. And when Lynn got the sprinkler out on our last day...it had finally stopped raining and was warm enough to put on swimsuits...Ibby just had a ball! She walked right into the streams of cold water and didn't move until Lynn turned off the water. She was soaked through! I have to say, the three of them got along really well. There wasn't a lot of direct play, but there weren't any major tussles either. Many thanks to our dear friends for putting up with us for three days. We had a wonderful time and hope it won't be too long before our next visit. North next time? It is difficult to comprehend, but May 6 marks one year since Isabel's embassy appointment, the day when she officially became our daughter...on paper and according to the law anyway. I say officially because she was our daughter in our hearts from the very first time we laid eyes on her picture when she was just eight days old. The ten months it took from the first viewing of her referral photos to her arrival home seemed long and at times very arduous, but now, time truly passes in the blink of an eye. Just yesterday she was a baby who couldn't walk or talk. Now she's a little girl who runs or walks on tiptoes most of the time and can put together two word sentences. Incomprehensible. I cannot remember a life without our dear girl. I know we used to be happy and laugh a lot, but we weren't this happy, and we didn't feel this much joy. So Happy Forever Family Day to us! We are so blessed. Here is Isabel at the Marriott in Guatemala City just before we left for our embassy appointment. Here we are after the embassy appointment, a family of three.